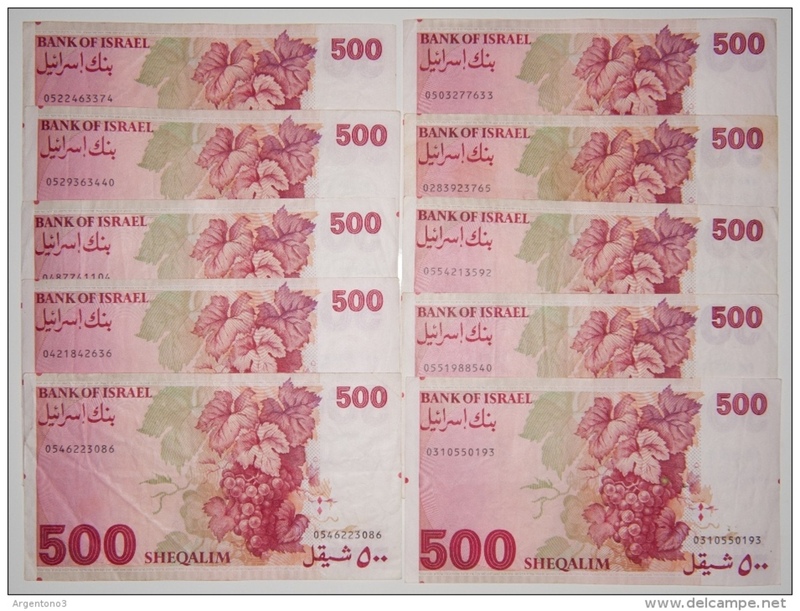 Israel 500 sheqalim 1982 - lot 10 pcs Сondition of banknotes is from F+ to XF. Please see the photos. 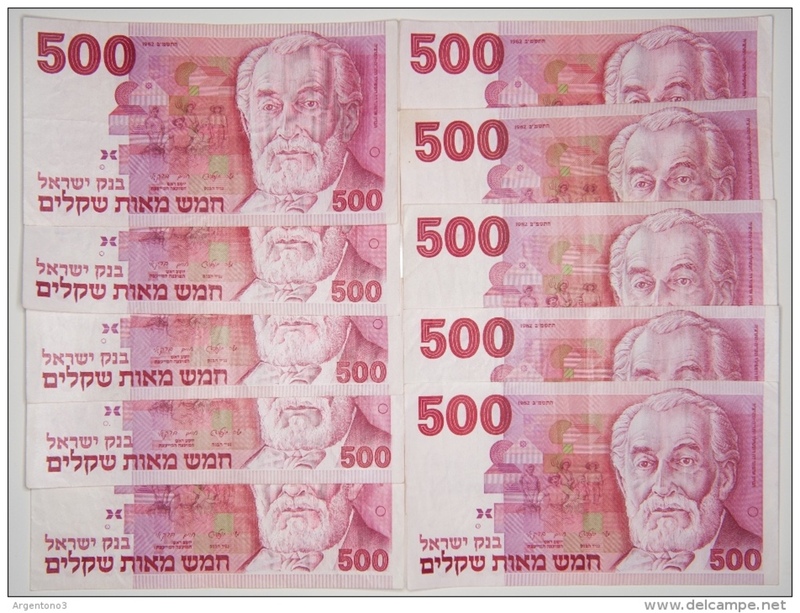 Serial numbers may be different, but condition of banknotes is as described or better. different, but condition of banknotes is as described or better. Worldwide shipping is available. Shipping is from 5 EUR to 10 EUR depending on weight. Temporarily I can't accept PayPal. 2. Don't hesitate to offer me your prices if you are interested for some my item. I will consider alls offers.